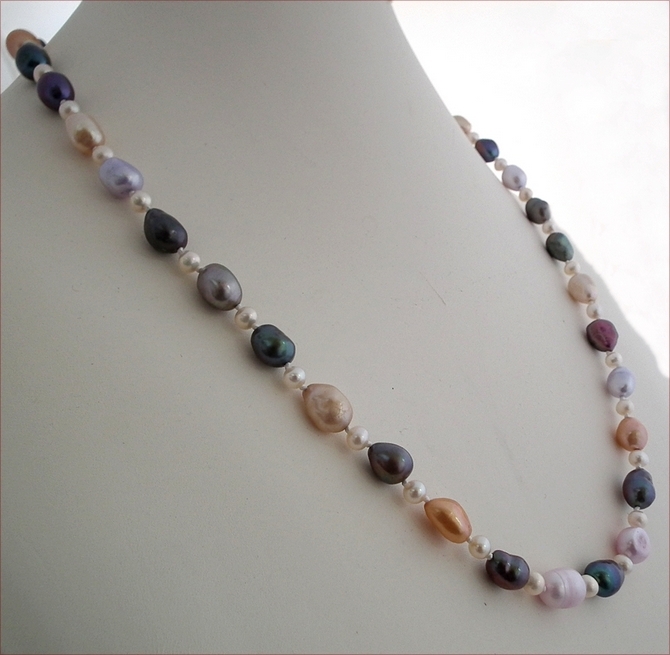 This is a longer necklace (26.5"/680mm) of baroque freshwater pearls in different jewel colours knotted with tiny (5.5mm) white freshwater pearls to create a stunningly elegant necklace. 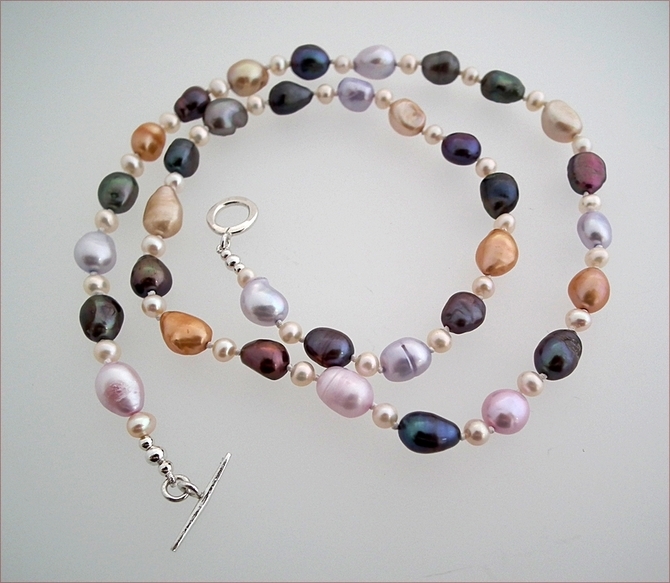 Long enough to pop over your head the necklace does have a hammered silver toggle clasp. 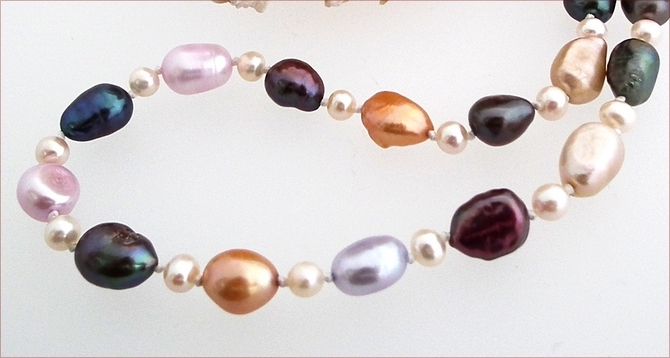 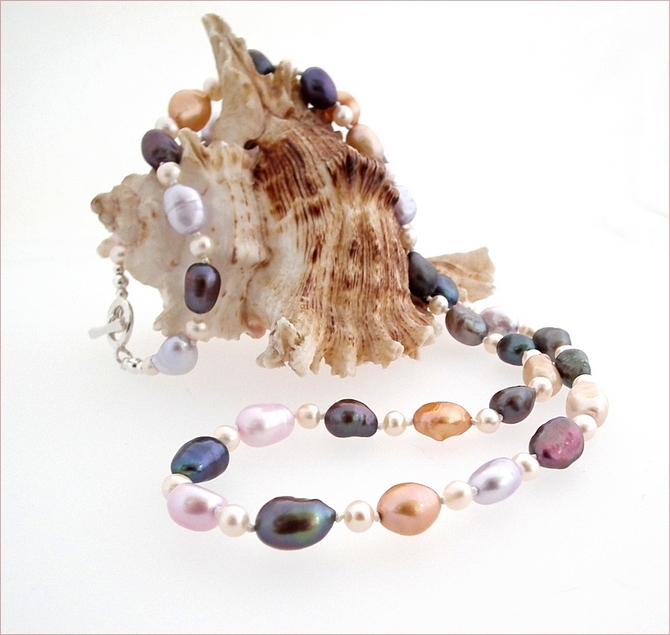 Because of the different colours in the baroque pearls this is a very versatile necklace. 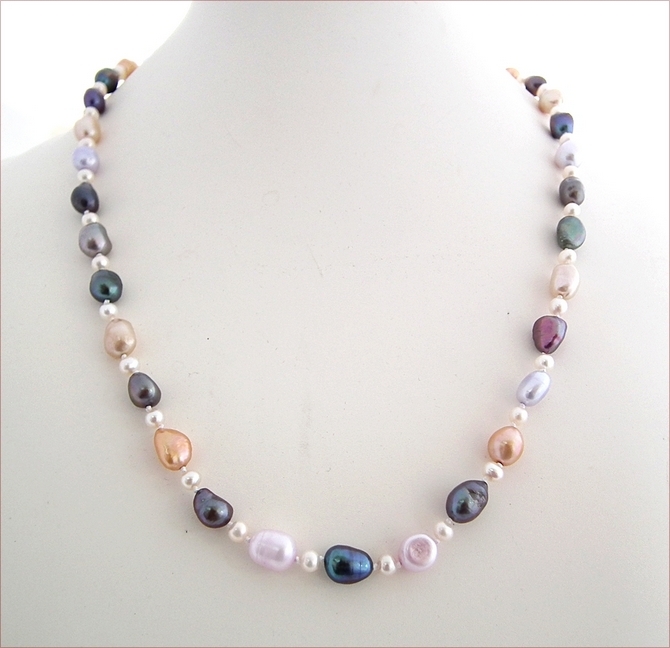 You can wear it dressed up over the long frock you wear to that special dinner, or dressed down - over a fawn coloured jumper when visiting friends in the country.